Please do NOT email credit card information! Get the Free Acrobat Reader from Adobe for viewing the Membership Directory and other PDF documents. Luncheon meeting, the first Wednesday of each month unless a holiday occurs on that day. The Forum presents programs representing a broad range of interests and topics of concern to professional women in the Blue Grass. Our goal is to assure that each member who comes to the monthly meeting has a place to sit and a meal to eat. In order to meet that goal, we must have a reservation/cancellation policy that works. By being consistent and informing everyone of the policy, we hope to make each meeting run as smoothly as possible. Additionally, the PWF Business Coordinator devotes a tremendous amount of time and effort to make the organization run effectively and efficiently. Adhering to the following guidelines is a necessity to make the job a lot easier. It is the policy of the meeting facility and the Forum that no one be seated without a lunch. Unfortunately, this policy prohibits people from attending a meeting without being served a lunch. 1. Reservations close at 5:00 p.m. on the Friday before the luncheon. No reservations/cancellations for lunch will be accepted after that time. 2. In the event that a member/guest would like to attend a luncheon, but was unable to make a reservation, they are welcome to check in at the registration desk on the day of the meeting to see if they can take the place of a “no show.” (This will require them to wait until 11:45 a.m. to see if any reservations have become available.) Because the meeting facility requires that no one be seated without a lunch, there is a possibility that a member/guest could be turned away after they have waited until 11:45. 3. 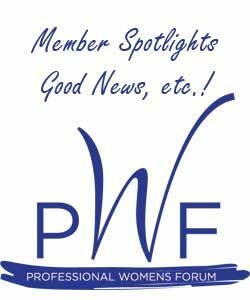 PWF encourages and welcomes guests at our meetings. To be fair to members, each guest is allowed to attend two regular meetings per year. Guests are encouraged to join PWF at any time during the year. 1. Cancellations will be taken until (10:00 a.m.) the Monday prior to the Wednesday meeting. Leave a message or send an email for the Business Coordinator. After that, you are responsible for your reservation. In other words, if after the Friday deadline you find that you or your guest can’t attend the luncheon and you have not cancelled by Monday at 10:00 a.m. you will be billed for the amount of the luncheon. 2. You may send someone in your place or substitute another person for your guest. Please inform the registrar of any change when you or your guest check in. 3. You will be billed by the Treasurer for any unpaid meal. Please pay promptly in order to eliminate the need for second or third notices. If you have a question about a bill, please call the Treasurer (her name and number appear in the front of the directory). 1. Pay by check only and have it ready before approaching the registration table. If you are paying for a guest, note the guest’s name on the check. 2. Request a receipt only if you really need one. 3. Please move ahead after you have registered to let the next person in line check in. 4. Miscellaneous questions, address changes, membership status, etc. need to be directed to the Business Coordinator. The number is listed in the front of the directory. Please do not try to conduct this type of business at the registration desk. 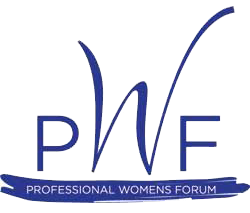 Many busy women find it easy and rewarding to belong to Professional Women’s Forum (PWF). The organization has very few committees, and all meetings and special projects are optional.The regular luncheon meetings are held on the first Wednesday of each month at various locations from 11:30 a.m. to approximately 1:00 p.m. unless there is a holiday on that date. Visitors are very welcome, and reservations are required. Visitors may attend twice in a fiscal year before joining (October-September). Most meetings offer a speaker on an issue of community or professional concern. Other meetings focus on networking, which provides members the opportunity to discuss important topics with fellow members. For information about upcoming meetings or to make a reservation, contact Dottie Hatton (preferred method is by e-mail: prowomensforum@aol.com; or call 859-233-1171) or fill out the form below. We use Square as our credit card processor. After submitting this form a link to Square will appear. Payment not received will invalidate your registration.